News CFHT - CFHT funds SPIRou. SPIRou : a near-infrared spectropolarimeter to unveil new habitable worlds and to investigate the birth of Sun-like stars and their planets. 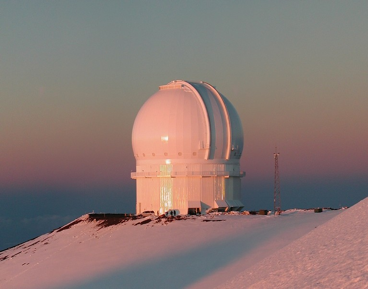 The Canada-France-Hawaii Telescope (CFHT) just confirmed its participation in the funding of SPIRou. SPIRou is a spectropolarimeter and a high-precision velocimeter optimized for both the detection of habitable Earth twins orbiting around nearby red dwarf stars, and the study of forming Sun-like stars and their planets. SPIRou is managed in the framework of an international consortium led by France and involving, in addition to CFHT, Canada, Switzerland, Brazil, Taiwan and Portugal. The construction of SPIRou will start in 2014, with integration in Toulouse, France, in 2016 and first light at CFHT in 2017. CFHT will support SPIRou as a Guest Instrument by partnering in its construction, commissioning, and operation. How do stars and planets come to life? 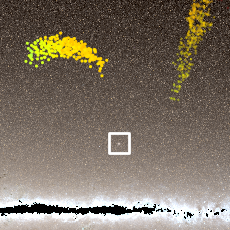 How do magnetic fields impact their birth? Is our Earth one of the few planets in the Milky Way capable of hosting liquid water on its surface, or is it just one in a multitude? 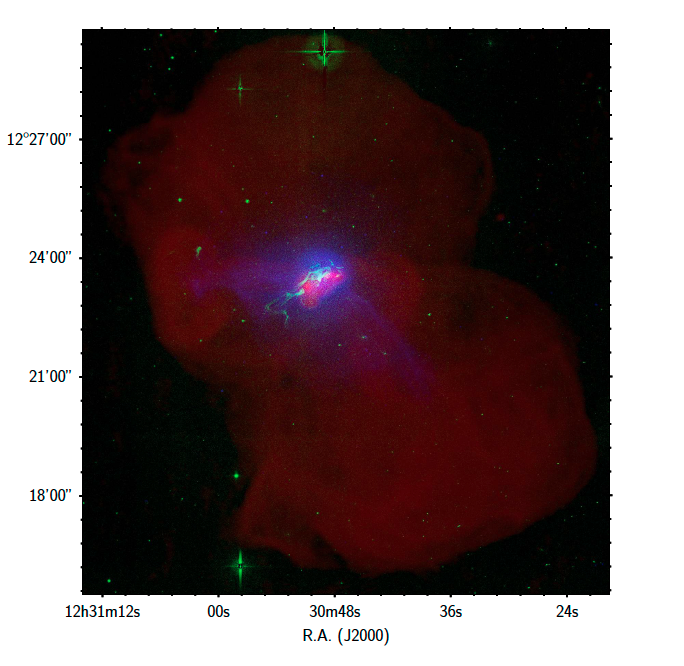 These are a few of the major questions that puzzle today’s astronomers and that SPIRou, the next-generation instrument for CFHT, proposes to investigate in a novel, innovative way over the coming decade. In addition to being a spectropolarimeter - decomposing the light from stars into its elementary colors and vibration modes, SPIRou is a high-precision velocimeter, capable of recording the tiny motions of a star that probe the presence of an orbiting planet - like a radar speed gun that would flash, not for an excess velocity of the observed star, but for regular and periodic variations of its velocity. 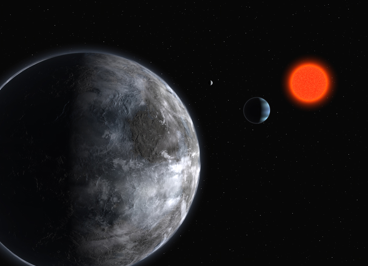 SPIRou will thus be able to hunt Earth-like planets orbiting in the habitable zones of nearby red-dwarf stars. The atmospheres of these Earth twins will then be scrutinized for the potential presence of water and other life-related molecules with future facilities such as the James Webb Space Telescope to be launched in 2018. SPIRou will also be ideal to unveil mysteries in the formation of stars and planets, by observing for the first time ever magnetic fields at the heart of newly-born Solar-System-like worlds of only a few hundred thousand years. SPIRou is also a major technological challenge. To optimally observe celestial bodies as cool as red-dwarf stars - whose surface temperature barely matches that of standard halogen bulbs - SPIRou must work in the infrared, implying in practice that the heart of the instrument, the high-resolution spectrograph, must be installed within a cryogenic dewar and cooled down to the temperature of liquid nitrogen (-200°C or -330°F) to prevent the ambient thermal radiation from outshining the dim light from red dwarf stars that SPIRou will collect and decipher. Moreover, the temperature within the cryogenic dewar will have to be exceptionally stable, to within a few thousandth of a degree, to make SPIRou capable of detecting the nanometric motions of stellar spectra that will reveal the existence of habitable Earth-like planets. Though located in one of the best astronomical sites worldwide, CFHT nevertheless has to face fierce competition and must innovate through ambitious science programs. 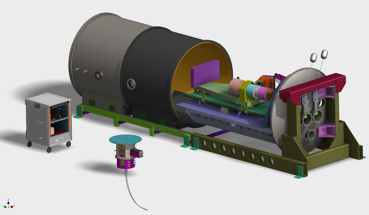 SPIRou is one of the key instruments that will bolster the future of the telescope over the next decade. CFHT just confirmed its contribution to the construction budget of SPIRou, along with a large worldwide consortium of Universities and research institutes. SPIRou is an international project led by France and involving, in addition to CFHT, Canada, Switzerland, Brazil, Taiwan and Portugal. The consolidated budget and construction cost, respectively equal to €10M and €4M, clearly reflects the major astrophysical investment that SPIRou represents for the corresponding communities. The French side of the consortium provides SPIRou with the majority of its financial and labor resources, especially in Toulouse where SPIRou will be integrated, tested and validated in 2016 prior to its shipment to CFHT. in France: CNRS (Centre National de la Recherche Scientifique) and MESR (Ministère de l’Enseignement Supérieur et de la Recherche); in Toulouse, UPS (Université Paul Sabatier), OMP (Observatoire Midi-Pyrénées), IRAP (Institut de Recherche en Astrophysique et Planétologie) and Région Midi-Pyrénées; in Grenoble, UJF (Université Joseph Fourier), OSUG (Observatoire des Sciences de l’Univers de Grenoble) and IPAG (Institut de Planétologie et d’Astrophysique de Grenoble); in Ile de France, IAP (Institut d’Astrophysique de Paris), OP (Observatoire de Paris), LESIA (Laboratoire d’Etudes Spatiales et d’Instrumentation en Astrophysique), LERMA (Laboratoire d'Etudes du Rayonnement et de la Matière en Astrophysique), LUTH (Laboratoire Univers et Théories), IMCCE (Institut de Mécanique Céleste et de Calcul des Ephémérides), SAp / AIM of CEA (Service d’Astrophysique / Laboratoire AIM du Commissariat à l’Energie Atomique), IAS (Institut d’Astrophysique Spatiale), LATMOS (Laboratoire Atmosphères, Milieux, Observations Spatiales) and Région Ile de France; in Marseille, AMU (Université Aix-Marseille), the Pythéas Institute, LAM (Laboratoire d’Astrophysique de Marseille) and OHP (Observatoire de Haute Provence). outside France: in Hawaii, CFHT (Canada-France-Hawaii Telescope); in Canada, UdeM (Université de Montréal) in Montréal, UL (Université Laval) in Québec City, and NRC (National Research Center) in Victoria; in Switzerland, OG (Observatoire de Genève) in Geneva; in Brazil, LNA (Laboratório Nacional de Astrofísica) in Itajuba, UFRN(Universidade Federal do Rio Grande do Norte) in Natal, UFMG (Universidade Federal de Minas Gerais) in Belo Horizonte; in Taiwan, ASIAA (Academia Sinica, Institute of Astronomy and Astrophysics) in Taipei; in Portugal, CAUP (Centro de Astrofísica da Universidade do Porto) in Porto. 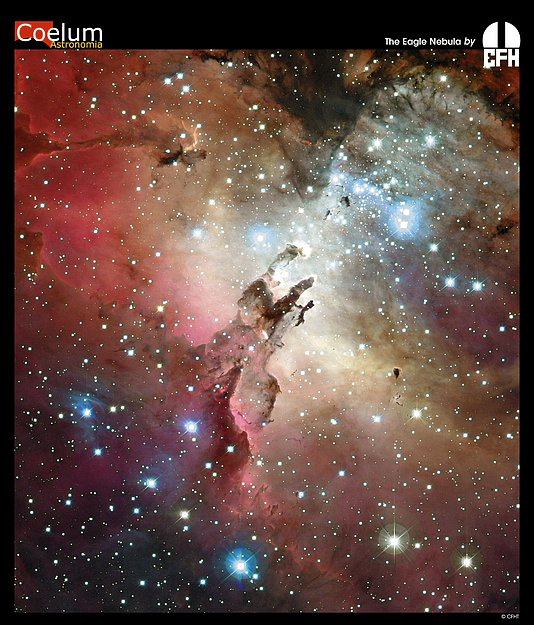 CFHT is a 3.6m telescope jointly funded and operated by the National Research Council of Canada, the Centre National de la Recherche Scientifique of France and the University of Hawaii. CFHT instrument development is also funded by additional contributions from LNA(Brazil), ASIAA(Taiwan), NAOC(China) and Korea. Omega Centauri's long lost stars found.